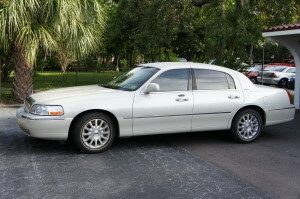 AllPro Towncar Limo Service serves all of Tampa Bay, Saint Petersburg, and Clearwater area. Our rates are very competitive. We have the best Limo Rental Rates. We accept cash, debit/check cards, and all major credit cards. Below is a detailed list of our standard rates and fees. Please contact us to get a quote for special arrangements. Contact us at 727 238 5214 for a quote for your event. Pre-paid accounts, pay-per-ride, and monthly flat rates are available. Please contact us to find out which account suits you. Service charges and taxes are not included in the prices listed above. Tips are at the discretion of the customer. If you liked the service, please leave a tip! Our drivers will appreciate it.